Bodharn gift packs include everyting the beginning player needs to get started! 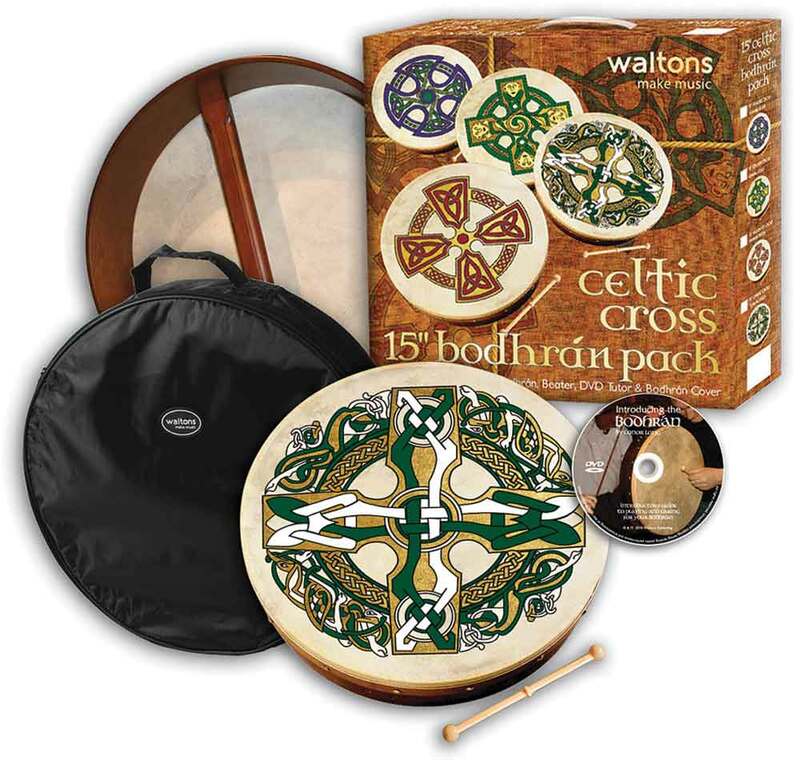 First and foremost, a standard bodhran, handcrafted from the finest wood with a head made from real goatskin is included, along with a hardwood beater and carrying case. In addition, the Absolute Beginners: Bodhran instructional DVD by Conor Long is provided, plus bodhran care cream to keep your bodhran in peak condition! Select the size option you desire before adding the product to your cart.